In our more than 40-year tenure, Polhemus technology has powered countless applications around the world. We are proud that so many cutting-edge applications in health care, military, and research and technology are powered by Polhemus. Link below to specific case studies in medical training and simulation, flight training and simulation, neuroscience, and more. This is just a sample of notable applications in motion tracking that have enabled our customers to break new ground and redefine the standards in their fields and industries. Go to all motion tracking case studies for a list of case studies by product. 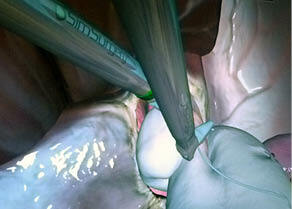 Polhemus technology is being used in break through training and simulation devices in medicine. We power ultrasound training simulators, surgery simulation, and more. Our technology best replicates actual medical procedures, enabling top-notch training for medical professionals. Our customers have cut costs and improved safety by utilizing our technology in industrial training and simulation. 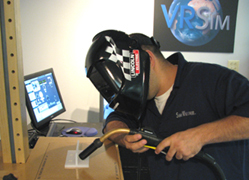 Our robust technology is ideal for withstanding heavy use and we’re the trusted choice for applications in training and simulation for welding, virtual reality spray paint applications, and more. 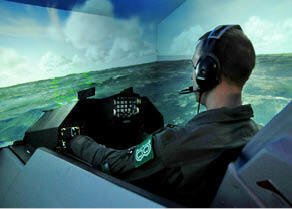 Many pilots around the world have mastered their craft using flight training simulators powered by Polhemus trackers. Our simulators mimic the real world environment more than any other technology available. Because the same technology is used on flight simulators as we use on live aircraft, we are able to achieve the most realistic training experience possible. Polhemus tracking technology is the top choice for the military—especially when it comes to head tracking. 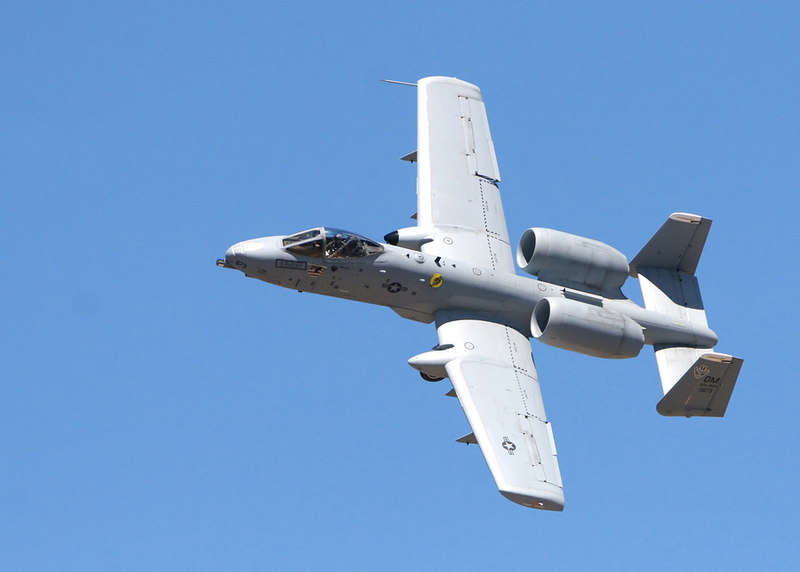 Our technology powers head tracking on the Air National Guard F-16, A-10 and the United States Air Force C-130 Gunship aircraft. Any of our motion trackers can be used for head tracking, but our premiere head tracker is SCOUT™. 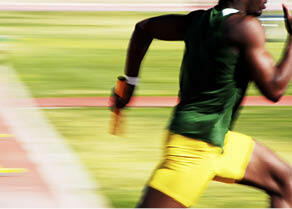 Some of the world’s top athletes have utilized Polhemus motion tracking systems to measure and improve their performance. The United States Olympic Team has used our trackers in various ways, including sports motion analysis for weight lifting and sports motion measurement in gymnastics. Pro golfers trust our systems for the best tracking in golf swing analysis to improve and measure their game. Whether its hand tracking, gait analysis, or head tracking, researchers in biomechanics choose Polhemus trackers because of the precision level tracking we deliver—we can measure the slightest of human movements. 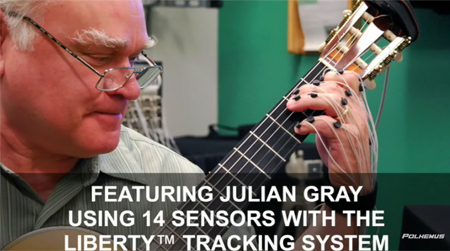 Our tracking technology is so robust, it can capture rapid movement. 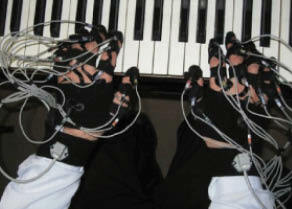 To illustrate this, we tracked the hands of a master pianist. Our products have been used in many neuroscience applications. Our technology has aided in research in the specific areas of autism—tracking response times, Parkinson’s disease—tracking hand tremors, and also we are the top tracking choice for use with EEG caps in conjunction with our 3D digitizer. How do you measure improvement? Our products are powering the latest in virtual reality in physical therapy and rehabilitation applications. With no special lighting, and no line-of-sight necessary, our portable tracking products are ideal for tracking motion to track progress—in labs, hospitals, clinics, and more. Measuring improvement just got easier. Used in conjuction with one of our tracking products, our 3D Digitizers are used in a wide array of applications, including agricultural studies. In China, FASTRAK® has been used as a digitizer to study agriculture, specifically the study of plant growth under different climate and soil conditions. 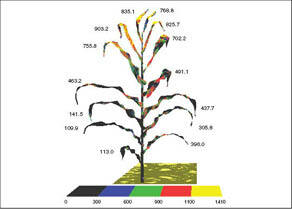 Two studies were done, one focused on rice growth and the other on the growth of corn, in various conditions. Read more about what we offer in specific markets: Healthcare, Military, and Research & Technology. High fidelity finger and hand motion tracking achieved in real time with Polhemus Micro Sensors 1.8 and LIBERTY tracking system. Major Universities and Research Centers worldwide are selecting Polhemus LIBERTY LATUS because of its real-time wireless tracking capability in full 6DOF. Polhemus is a Good Manufacturing Practices (GMP) Contract Manufacturer under U.S. FDA Regulations. We are not a manufacturer of Medical Devices. Polhemus systems are not certified for medical or bio-medical use. Any references to medical or bio-medical use are examples of what medical companies have done with the Products after they have obtained all necessary or appropriate medical certifications. The end user/OEM/VAR must comply with all pertinent FDA/CE regulations pertaining to the development and sale of medical devices and all other regulatory requirements.